When people talk about a filmmaker called Sturges it can automatically be assumed that they refer to Preston Sturges. Conventional wisdom has it that Preston Sturges is the important one and John Sturges is "the other Sturges". However, I think the differences between the Sturges' are interesting and is about something essential in cinema, and what we value in the art form. What is valued in Preston Sturges is dialogue, humour, satire, characters and plotting, more of literary qualities. His films are extraordinarily quotable, his characters are rich and vivid, down to the smallest part (a thesis could be written about his bartenders), he tells ingenious, convoluted stories, and his satire can be both brave and dark. Nobody is safe from his sharp tongue and raised eyebrow and for at least eight years, from The Great McGinty (1940) to Unfaithfully Yours (1948), he was a one-man show in Hollywood, a writer-director-producer who made films that were very much his films. 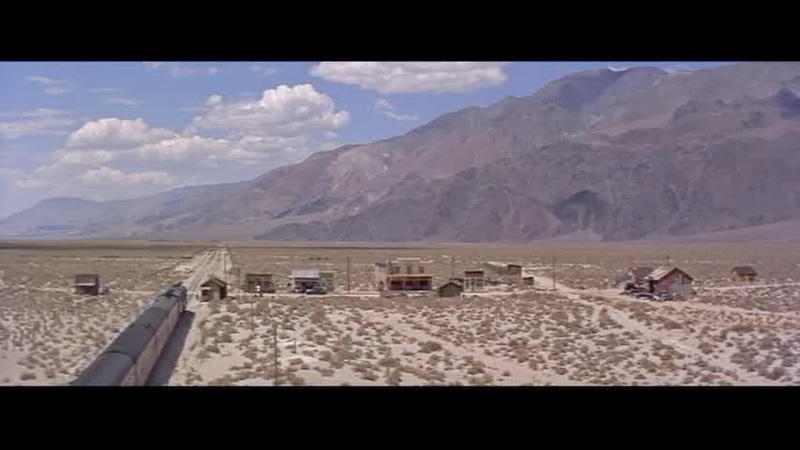 But he has not made a film that is better than John Sturges's best films; Bad Day at Black Rock (1955, image above), a tense drama attacking racism and the treatment of Japanese Americans, and Hour of the Gun (1967, image below), a bitter and wise film with extraordinary music by Jerry Goldsmith. John Sturges had a strong visual sense and when he had the right script and a good cast he could do great things. His compositions are often striking, many of his films have shots and images that are far beyond anything found in Preston's films, and few have such a firm command of the widescreen image. There is real beauty in the geometrical precision with which he can stage and frame a shot. In addition, the ensemble acting in many of his films is remarkable, how the group becomes one. There is also, often, a peculiar mood to the films; as I have said earlier he is good at being uplifting and downbeat at the same time. Besides the two high points already mentioned other fine films of his are The Capture (1950, an independent production from his early, pre-widescreen, days), Backlash (1956), Gunfight at the O.K. Corral (1957), The Magnificent Seven (1960) and The Great Escape (1963). So neither of the Sturges' is ideal, but both have great strengths; for one it is the written word, for the other the visuals. There is room for both. Preston Sturges is not really like anybody else, but it is tempting to put John Sturges together with Richard Fleischer (whom I wrote about four years ago here). A topic for another day. Andrew Sarris put both in the "Strained Seriousness" category but they are more than that. 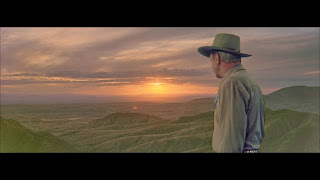 Backlash, with its story (by Borden Chase) of a man hunting the man he believes is responsible for the death of his father, only to find out in the end that it is the other way around, that his father is a killer, is very good but it makes you wonder what Anthony Mann might have done with it. Mann is a much greater artist than any of those mentioned in this post. I saw some 80 new films last year; most on general release, some on festivals and some at home on DVD. Some have said that 2013 was an unusually good film year but judging by the films I have seen it does not strike me as being outstanding. Although I saw only three that were terrible (Now You See Me, Elysium and the Swedish Monica Z), the majority of the films were middling at best. Not offensively bad but not great either. But there were a few really great ones too. A little under half of the films I saw were American and the other half was from all continents. But Australia made it only since The Great Gatsby was made in Sydney by an Australian director. But why are hardly any films made down there that might be distributed overseas? I hope I will at least be able to see The Railway Man sometime soon. What I would prefer not to see again is a new film by J.J. Abrams. He is a remarkably untalented filmmaker for being so famous as, well, a filmmaker. He should perhaps more accurately be considered a photocopier with the ink running low, as Star Trek: Into Darkness suggests. Something important that happened was that the transfer from analog to digital has become almost complete now. And the latest news is that Paramount Studios has decided not to release any more films on 35mm prints but to go 100% digital. Other studios are bound to follow. It is customary to write something about what the films of the year "were about", as if that was possible to sum up. In New York alone over 900 films from all over the world opened last year and it stands to reason that they cannot be reduced to a handful of themes and ideas. It has been said that 2013 was a breakthrough year for films about racism and the concerns of black people in America. This is a questionable assumption, not least because there have been previous years when several important films were made (for example, in 1992 Spike Lee made Malcolm X, Ernest R. Dickerson made Juice and Reginald Hudlin made Boomerang, a trio comparable to 2013's 12 Years a Slave, Fruitvale Station and The Best Man Holiday) and whether the films this year will be more successful in making a profound shift remains to be see. One can but hope. I will return to the subject of race in American cinema in a later post. A real breakthrough on the other hand happened in Saudi Arabia, where Wadjda became the first film ever made on Saudi soil, and it was a feminist film directed by a woman, Haifaa al Mansour. I wrote about it here earlier last year. As somebody who has been following Iranian cinema since the 1990s I am pleased that I have been able to see at least three Iranian films this year, Darvag by Abolfazl Jalili, Ziba by Bani Khosnoudi and Manuscripts Don’t Burn by Mohammad Rasoulof. They were all different and all good, although Ziba, about an alienated housewife, went on for far too long. Best was Manuscripts, a brilliant film about surveillance and oppression, very powerful and moving. The development in Iran has otherwise been interesting, with the election being won by the relatively moderate Hassan Rouhani and the diplomatic openings and deals that quickly followed. Iranian cinema flourished during an earlier moderate president, Mohammad Khatami (in office 1997-2005), and foundered under the previous president, Mahmoud Ahmadinejad. Again, one can but hope that things will ease up now and that the many political prisoners, some of whom are important filmmakers, are released. I saw three films from China, American Dreams in China by Peter hu-sen Chan, So Young by Vicki Zhao and The Grandmaster by Wong Kar-Wai. Chan is not a very good filmmaker, which he proved again, but Wong is one of my favourites although The Grandmaster was not all that successful. Sometimes incredible but often infuriating. The most interesting of the three is So Young, and not only because I am an old Suede fan. It was one of the biggest successes in China last year and is about a couple of first year students at a university in the early 90s. It lost its way completely in the last part which was set in the present day, but before that it was affectionate and sincere. China has had a major impact on global cinema these last years, in many ways, some for the better and some for the worse (such as self-censorship among filmmakers abroad who are afraid of losing out on the Chinese market). China is also a subject suitable for later blog posts. Soon the Oscars will be handed out, and the Razzies. They are both annoying in many ways, but particularly so the Razzies because they are making no real effort to award really bad films, but seem to be more concerned with big budget films that have been unsuccessful at the box office. It is very unlikely that they would give a Razzie to the next film by Michael Haneke. This year The Lone Ranger is nominated as worst film of the year and Gore Verbinski as worst director. How do they decide? I was more impressed and dazzled by The Lone Ranger than most films of last year, even though it did not make my top ten, or even top 20. Another maligned film that I liked very much (much more than The Lone Ranger) is the collaboration between Ridley Scott and Cormac McCarthy: The Counselor. It was somewhat unhinged but shot and told with confidence and precision, and wonderfully acted. The scene when the title character (played by Michael Fassbender) visits a diamond dealer in Amsterdam (the dealer is played by Bruno Ganz) is one of the highlights of the year. What I also liked was the unrelentlessness and professionalism by the drug cartels. It is a well-oiled machinery and the poor fools who are human enough to think they can deal with them all go under. The cartels are incorruptible; it is us who are weak. But that is what makes us human, and them something else, something truly disturbing. Some potentially great films have yet to reach me, such as Inside Llewyn Davis, but if I should chose six films that for me were the true wonders of 2013 it would be the following: The Iranian Manuscripts Don’t Burn, Joe Swanberg's Drinking Buddies, Noah Baumbach and Greta Gerwig's Francis Ha, Sangsoo Hong's Nobody’s Daughter Haewon, Carlos Reygadas's Post Tenebras Lux and, above and beyond them all, Nicole Holofcener's triumphant, warm, tender and marvellously alive Enough Said. I have not loved a film this much in ages. About Wadjda, Oblivion, The Great Gatsby, Elysium, Gravity, Philomena and Wolf of Wall Street. 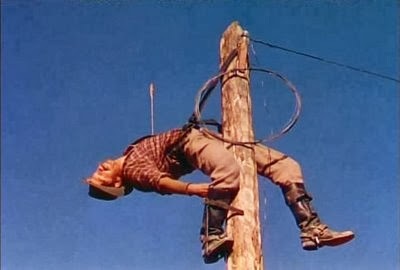 And here is my summary of 2012. The latest challenge from Filmspanarna was trains, meaning I am supposed to write something about trains and films. This post is my contribution. So trains and cinema are connected. Just consider how several key films in the development of cinema are train-related, such as L'arrivée d'un train en gare de La Ciotat (1896), The Great Train Robbery (Edwin S. Porter 1903) or The Lonedale Operator (D.W. Griffith 1911). The last two of them also combined trains and the telegraph, neatly summing up the modern world. A common theme in films about American 19th century history is the disruptive effects trains had, both positive and negative.  In Matrix (The Wachowskis 1999) there is a scene where agent Smith is trying to kill Neo by pushing him in front of an oncoming train. When the approaching train is heard Smith says "That is the sound of inevitability. It is the sound of your death." and that is how many felt when the railway was being built across farmlands and such. While the railroad is often seen as a positive thing, bringing progress and prosperity, other times it is seen as a bad thing, bringing death and corruption. Last year's The Lone Ranger (Gore Verbinski 2013) is a current example of this. John Ford's breakthrough The Iron Horse (1924) is an early example where the railroad is seen in a positive light. Duel in the Sun (King Vidor 1946) shows both sides of the conflict, with the father and one son being against the railroad and the other son in favour of it. The pro-train son is the one who ultimately prevails. But there are hundreds of films around this theme. (What is less often acknowledged is that the railways across the US were to a large extent built by poorly paid Chinese workers.) Fewer films have been made about building the telegraph network, but there is at least Fritz Lang's Western Union (1941). It suggests that the telegraph caused disruptions too. 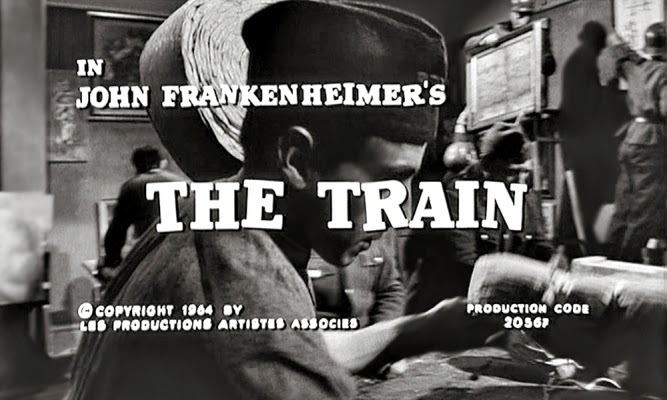 Trains are not only important in American films of course; it is a universal theme, albeit perhaps less connected to a national mythology in other countries. 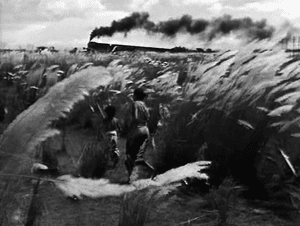 But in Satyajit Ray's first film Pather Panchali (1955) there is a sequence when young Apu and his sister, living in poverty in a small village, runs across the countryside to catch a glimpse of a train. The train here, too, as a symbol of progress and change. Many filmmakers have showed themselves being drawn to trains, and it is a very cinematic thing. They are not only symbolic but also alive and moving, Unstoppable, at least according to the title of Tony Scott's last film (2010). An especially forceful depiction of a train is to be found in Runaway Train (1985), directed by Andrei Konchalovsky and based on a script originally written by Akira Kurosawa. Yet they are also recurring images in the much more still and quiet films of Yasujiro Ozu. 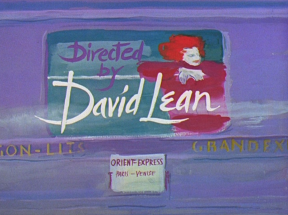 But the one filmmaker for whom trains is especially important is of course David Lean. 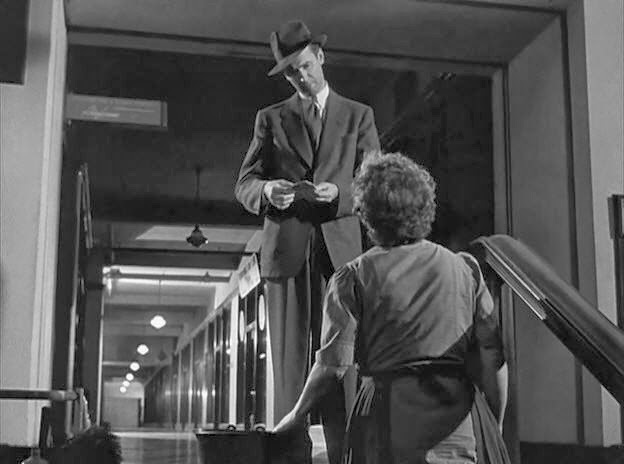 It is not only Brief Encounter (1945) and The Bridge of the River Kwai (1957) that are based around trains, they are an essential part of Lean's films, almost all of them. Summer Madness (1955, aka Summertime), Lawrence of Arabia (1962), Doctor Zhivago (1965), A Passage to India (1984), even a film which is primarily set on a ship, In Which We Serve (1942), has important scenes set on a train. Cinema and trains become one in his films: the greatest of filmmakers is also a great train lover. It was perhaps inevitable. John Frankenheimer's The Train (1964) is one of his best film and consequently one of the best films of the 1960s. Here are links to the other contributors in the train challenge. They are all in Swedish with one exception - the first link. The Velvet Café, Rörliga bilder och tryckta ord, Except fear, Moving Landscapes, Jojjenito, Fripps filmrevyer, Movies-Noir, Fiffis filmtajm, Filmitch, Har du inte sett den. 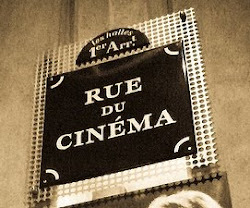 This week a major retrospective of Henry Hathaway's films begins at Cinémathèque Française in Paris. It runs from January 8 to February 24 and it is of course very exciting, especially for me who has written quite a lot about his films. In this post I have collected links to my writings for those who want to read more, and perhaps get an idea of which films to especially look out for. My first, long article about his whole career is here. My piece about Spawn of the North (1938) is here. My most recent post, about Souls at Sea (1937), is here.